Mr. Crockwell has over 30 years of security expertise. Not only is he COO of Security Associates Ltd. but he is also the Director of Safeguard Holdings Ltd. and is Chairman of the Road Safety Council. Equipped with credentials in Business Administration, he also holds an Aviation Security Manager’s certificate. Carlton always leads by example and leverages his network of organization memberships, including those with the International Association of Chiefs of Police (IACP), American Society of Industrial Security (ASIS), and The Human Rights Commission. 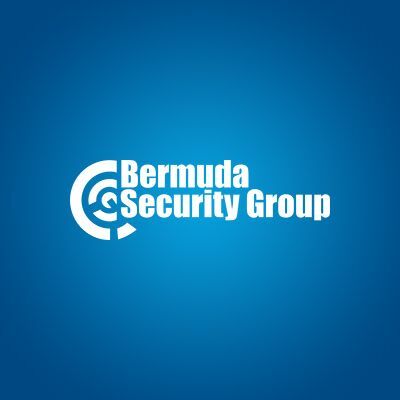 The Bermuda Security Group is Bermuda's premier security and life safety company, providing premium security technology, products, services island-wide. Dr. Crockwell Sr. was the former Chief Operating Executive Officer of Safeguard International Security Ltd. and presently serves as a Director of Safeguard Holdings Ltd. He has enjoyed a tremendous career in local security which spans over thirty-five years. His present oversight of security contracts includes, Aviation Security; Maritime Security; Healthcare Security; Security for Retail Business; Security and Corporate Companies. He received his qualifications from the U.K. Department of Transportation in Maritime and Aviation level 3. Dr. Crockwell has also qualified as a professional investigator from the U.K. under the Bluemoon College and a diploma in Business Administration from Lee University. In 2003 he graduated from Canada Christian College with his Master of Theology, and in 2014 he graduated from the same college with a Doctorate in Theology. Born in Bermuda, Kovan Smith immigrated to Southern California obtaining an Associate Degree in Electronic Technology in 1979 and returned home in 1996. He accepted an opportunity to work in the hospitality industry at the Fairmont Southampton Resort & Hotel and soon discovered his passion for the business of security. Within a 4-year period he was appointed as Security Manager. In September 2004 he was hired by Bermuda Security Group Ltd. to supervise their maritime security operations and by years end Kovan had received a certificate from the U.K. Department for Transport as a Level 5A Trainer in Aviation Security. After a merger between Bermuda Security Group and Safeguard International Limited physical security divisions, he was promoted to the position of Group Training & Compliance Officer in January 2011 and to Group Training & Quality Control Manager in 2018. He enjoys a rewarding and challenging relationship with our security officers in the group. Charlie Grange joined Bermuda Security Group in August 1986 as a Technician, born in the United Kingdom and a Bermudian. Charlie worked with ADT in London as a Service Technician prior to joining our company. He has been with BSG at every step of our technology advancement and lead this side of our business hence his current position as the company’s Technical Director. Charlie is a member of the Institute for Leadership and Management, he is NFPA certified and holds an Associate Degree in Automation Management. Away from the office he is an active member of the Bermuda Musical and Dramatic Society. Mr. Speight qualified as a Chartered Accountant (UK) after obtaining a BSc (Hons) in Mathematics at age 20. Neil has over 25 years of experience at Board Director, CEO and CFO positions in a range of successful international and Bermuda companies. Most recently Neil has served for 8 years on the Executive Board of the International Cricket Council, the international federation responsible for the sport of cricket. Mr. Pitcher has worked in the Security Industry for the past 25 years predominately in the Caribbean Region with an introduction to the industry at Brinks Jamaica Limited, a member of Guardsman Group, with a transfer from the Finance Department to Operations. He joined our Group in 2012 have worked in many areas of the security industry inclusive of Electronic, Physical, Armed Response, Central Station and Cash Management Services. Richard experience working in a 24/7/365 environment with multiple offices has afford him the ability for adaptation. At his last tenure he was engaged as the Administration & Logistics Manager with responsibility for the Armoury, Facilities Management for four offices, Technical, Central Station, Fleet Management and Operations Departments. He is holder of various security designation including Personal Protection Specialist, PFSO(Port Facility Security Officer, AVSEC (Aviation Security) Manager and Protectors Pistol Courses. Mr. Rudo joined Bermuda Security Group as Airport Contract Manager in 2008 and was assigned to L F Wade International. He served this post for three years before being promoted to Vice President of Group Human Resources in 2011. Wylie is United Kingdom Department of Transportation Aviation Security Level 1 and 3 certified. Mr. Jernigan, a spouse of a Bermudian, joined our Group of Companies in May of 2016 following a successful security career in the US leading various verticals of business for organizations such as Tyco, G4S, Stanley, and Johnson Controls. Mr. Jernigan has extensive leadership experience driving government, commercial, and retail vertical markets that spans across 20 years. Mr. Jernigan’s leadership experience includes operations, sales, and marketing. Keith remains involved in various security industry associations such as Society of Military Engineers and American Society for Industrial Security. He holds a bachelor’s degree in Management and Marketing from American International College. Mr. Edwards was born in Bermuda and has enjoyed a varied career in law enforcement for over 20 years, which includes 16 years at H.M. Customs. While at H.M. Customs he spent 10 years serving on various enforcement support teams as well as managing the Joint Intelligence Unit. Mr. Edwards has a Diploma in Security Management from Leicester University and Certificates in Supervisory Management and Human Resources from the Bermuda College. Equally important, while at Leicester University, Wayne obtained a Master of Science Degree in Security and Risk Management in January 27, 2006. He also has benefited from Government sponsored courses and is a trained Intelligence Analyst and Commercial Fraud Investigator. Wayne joined Bermuda Security Group in June 2005, as the Aviation Security Contract Manager and was responsible for managing the aviation security contracts held by Bermuda Security Group at the Bermuda International Airport. Wayne was further promoted to Vice President Security Services in 2008 and currently is Senior Vice President Customer Relations with responsibility of all BSG customers and leads the Security Services Division. He is the siting Chairman of Bermuda Chamber of Commerce -Security Division. Mr. Tucker was born in Bermuda and has enjoyed a varied career in aviation, transport and security. In 1978, he received his Bachelor of Science degree in Air Commerce and Flight Technology from the Florida Institute of Technology and later received his MBA from the same Institute. In 1983 Mr. Tucker joined the Bermuda Government as a Management Trainee and progressed through the civil service until his appointment as Director of Civil Aviation in 1994. After 5 years in this position he was appointed to the post of Permanent Secretary to the Minister of Transport in 1999. He remained in this position until his acquisition of Bermuda Security Group Limited in June 2002 and installation as President and CEO. In November 2002 he was also appointed as a Justice of the Peace. In 2010, Mr. Tucker stepped down as Company CEO whilst retaining his position as President and Chairman of the Board. Our Security Officers provide a valuable addition to your home security. Our uniformed officers provide your home with a valuable security presence. They can provide an additional layer of security while you are away or on holiday, and significantly lower the risk of an intrusion at your property. We’ve used many years of experience to create exceptional Physical Security services when it comes to protecting your world. Overall performance with our service level agreement.